You may find yourself wishing you could turn your reluctant reader into an avid one. You want your child to discover the joy and magic of literary worlds, and to acquire an essential skill that will be the foundation for success in school and life. Studies show that kids who love to read are more likely to do well in school, even in unrelated subjects such as science or math. But your child may fight you every step of the way. They can’t wait to be done – something they let you know forcefully every way they can. “How many more pages?” or “How much longer?” are refrains that despairing parents hear again and again. Can you pinpoint the reason(s) your child doesn’t want to read? Are they having trouble sounding out words and getting frustrated? Or perhaps you just haven’t found books they like. What are their interests? Star Wars, dinosaurs, My Little Pony? Find books that speak to these interests and see if they do the trick. Also, expand your definition of what constitutes reading. Try non-fiction as well as fiction. Do they see something that catches their interest in a newspaper or magazine? Then read it together. Even reading balloon dialog in a cartoon or graphic novel is fine – reading is reading. Going on a family trip? Does your child have a sports hero? Then there’s reading to be done. 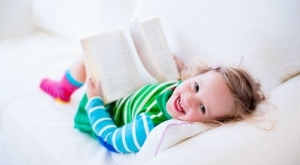 If you often have a book in your hand, then your child is more likely to want to do the same. In fact, why not show the important place that reading has in your lives by having family nights where screens are turned off, and everyone reads. It can become a great tradition. Also spread great reading materials throughout the house, so both kids and parents can pick something up whenever they want. Reading to kids when they are young is a great bedtime tradition (or any time of the day) and helps to instill a love for books. But even after your kid learns to read, it’s still fun and good to read with them. You can mix it up and read alternate pages. If you have a reluctant reader, don’t undermine your cause by giving your child reading material that’s too difficult. A storyline that’s too convoluted to easily follow, had too many words that need to be sounded out and explained can be the kiss of death in your reading relationship. Let kids read something easier, that boosts their confidence. Sometimes hearing a good story will motivate a kid to want to read it. If they have a favorite book you read aloud to them; then they may be persuaded to try to read it themselves. Or take them to the library for a story circle, or play them an audiobook. Anything that fans their passion for stories can help lead them to become readers. Even a movie or TV show that has a connected book to read can be a good way to get kids between the covers. Some libraries also have free summer reading challenges, which aim to encourage and reward children’s reading over the holidays. But if your child is having trouble reading, then you can obtain tutoring help to get their reading comprehension up to speed. To improve your child’s love of reading, and reading ability, contact Read Smart, Tulsa’s reading tutorial center. We specialize in helping kids to get ahead with their reading using individualized strategies offered in a warm, caring and fun environment. We will give them tools that help them get ahead in their academic and professional lives. Each tutoring session at Read Smart includes one-on-one time with teachers who have Elementary Education Degrees. 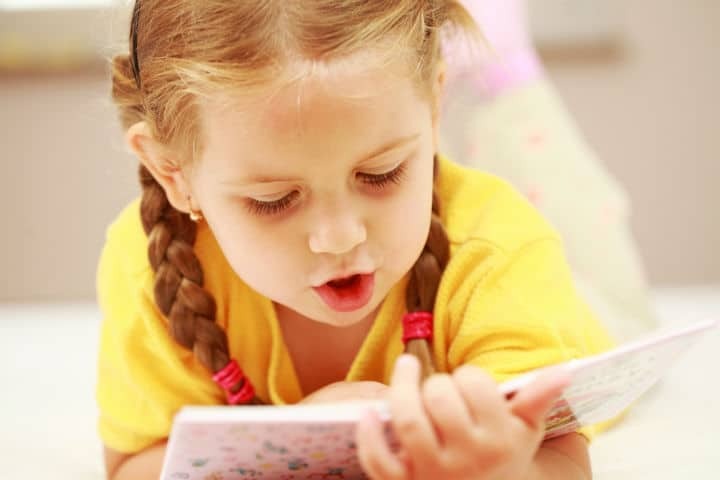 Contact us today for a free reading evaluation that can determine your child’s reading abilities, pinpoint any specific areas that may be problematic and be the important first step to learning to love to read.